Enjoy the best inspirational, motivational, positive, funny and famous quotes by Allen H. Neuharth. Use words and picture quotations to push forward and inspire you keep going in life! 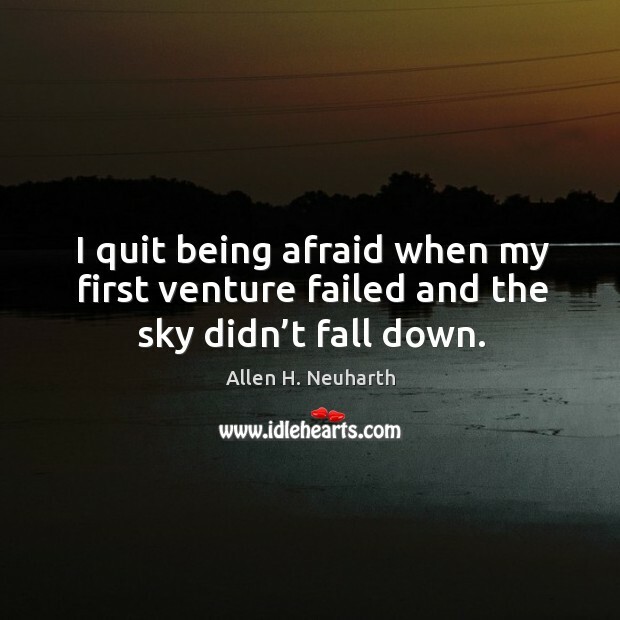 I quit being afraid when my first venture failed and the sky didn’t fall down.